The Royal Caribbean cruise ship Vision of the Seas has reported an outbreak of norovirus that has sickened at least 118 passengers and 3 crew members. The ship had 1,991 passengers on board and 772 crew members, which means 5.3% of the those on board were sickened. The ship docked in Port Everglades, Florida on Friday March 8, 2013 and was thoroughly cleaned and sanitized before its next journey. Passengers “responded well to treatment”, according to the company. Norovirus is an extremely contagious disease that causes vomiting, stomach pain, and severe diarrhea. Most people recover within a few days, but some can be severely dehydrated and require hospitalization. Other complications can include swelling of the brain, seizures, hypovolemic shock, kidney failure, and coma. Norovirus is spread through contaminated food and water, touching contaminated surfaces, and through person-to-person contact. The virus spreads quickly when people are in closed places, such as nursing homes, schools, and cruise ships. 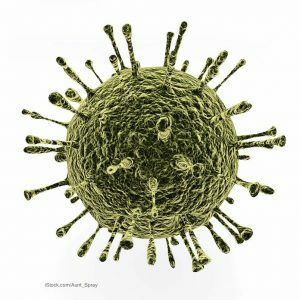 Most norovirus outbreaks happen from November to April in the U.S. Last year there were five outbreaks on cruise ships, including two on Celebrity cruises, two on the Princess Line, and one on the Cunard Line.